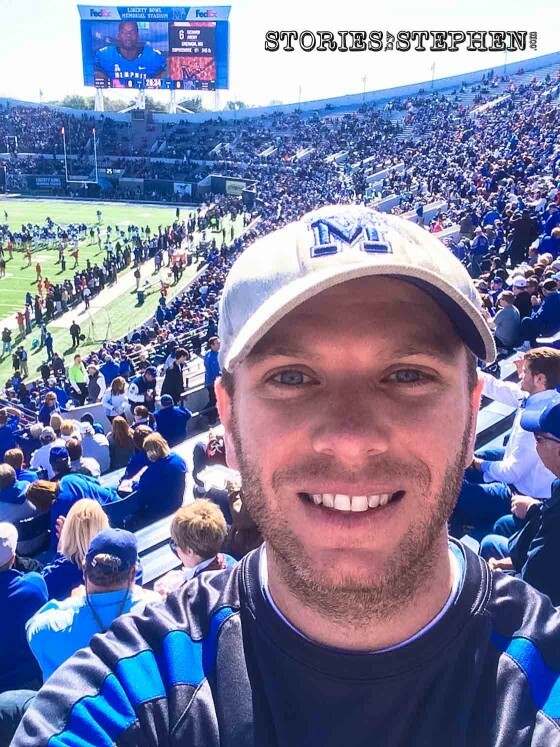 After an already eventful Fall Break of camping at DeSoto State Park and visiting the Memphis Zoo, we capped off our adventures by going to watch the Memphis Tigers upset the #13 Ole Miss Black Bears at Liberty Bowl Memorial Stadium. 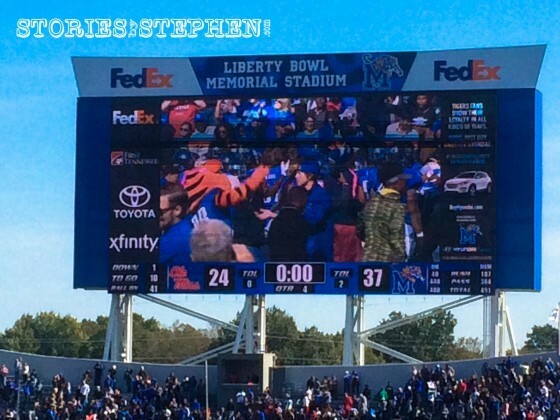 This was the Tigers’ biggest football victory since they upset the Tennessee Vols (and Payton Manning) 19 years ago. Needless to say, it was a very exciting game on a beautiful day. Will and I went to the game with my Dad, while the other kids stayed at my parents’ house with my mom. 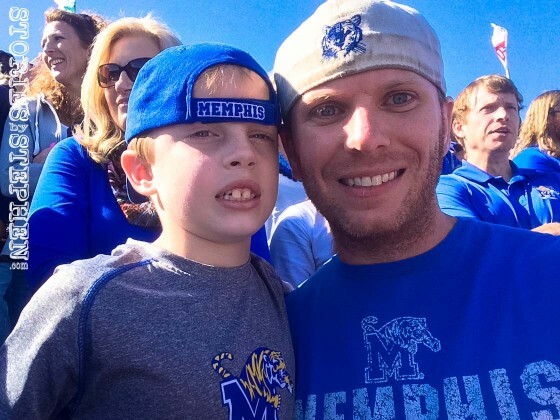 It was Will’s 1st ever college football game, although he has been to 2 Tennessee Titans NFL games. 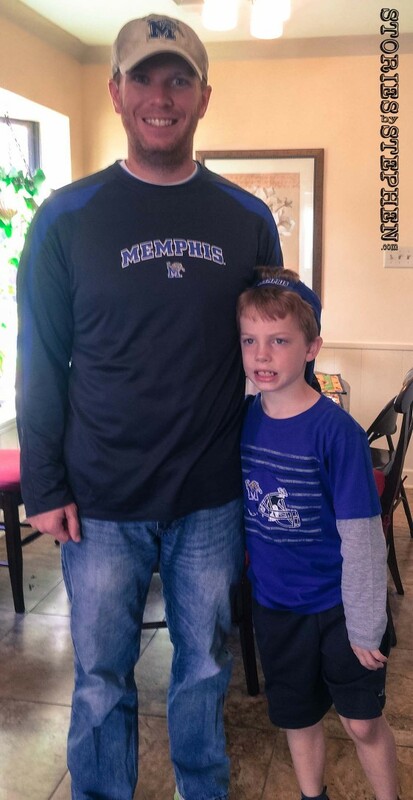 Will has also been to several Memphis Tigers basketball games, including the 2008 Final Four while he was in the womb! Here are some pictures from our day at the football game. Me and Will ready to leave for the game. 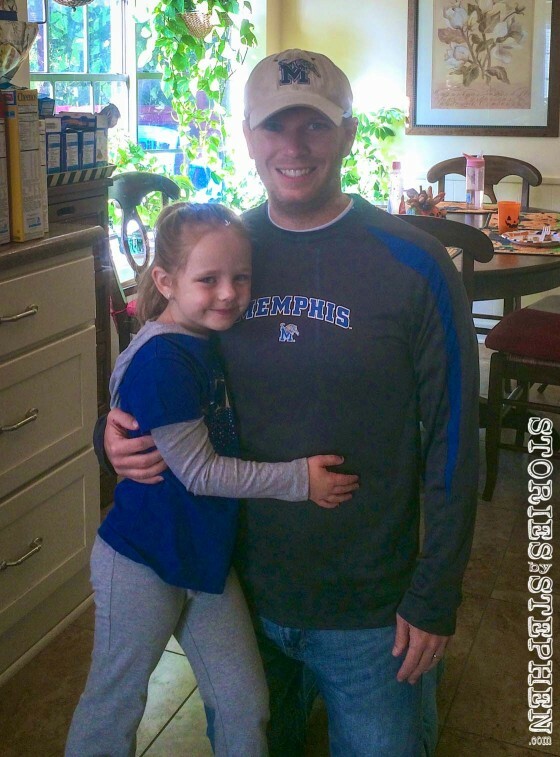 Julie Beth is also in her Memphis Tigers gear, although she just watched the game on TV. 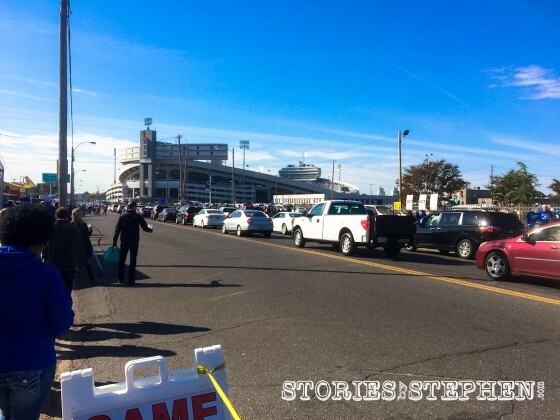 Parking and walking to Liberty Bowl Memorial Stadium was hectic thanks to the sold-out crowd. 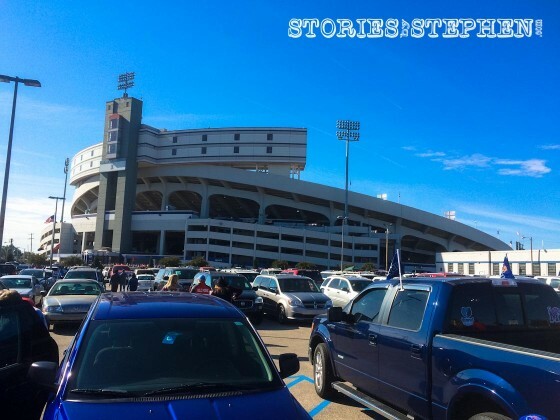 Another shot of Liberty Bowl Stadium. 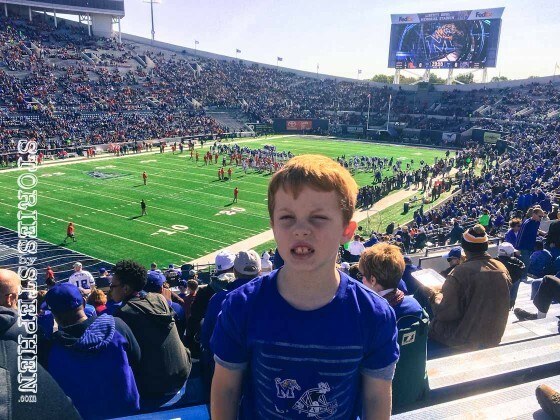 Will inside the Liberty Bowl Stadium ready to watch the Memphis Tigers! Selfie inside the stadium before the game. 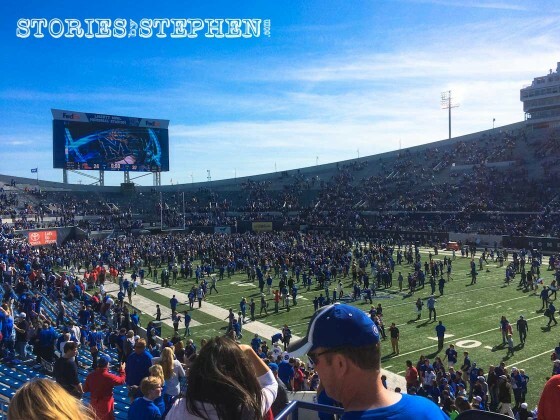 Sold-out stadium at the Memphis vs Ole Miss football game! Will and I had a great time watching the live game together! Many fans rushed the field after the win against Ole Miss. Panoramic shot of the stadium after the game as many of the fans rushed the field. Will and I enjoying the Tigers’ victory over Ole Miss. 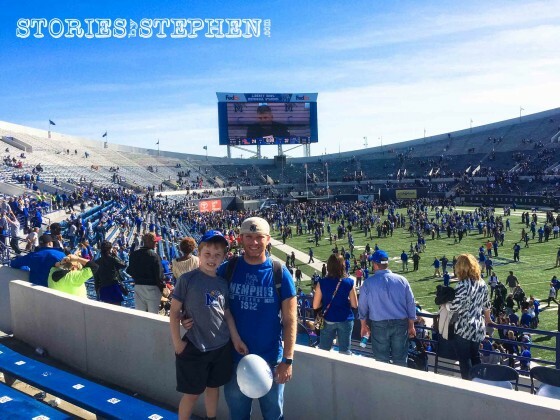 Will was very excited about the Memphis Tigers balloon he found after the game. 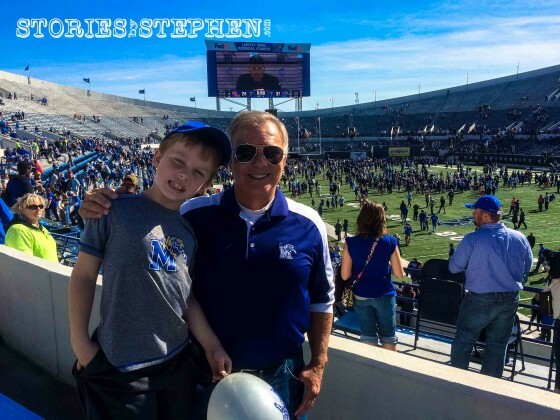 Will and his Poppa after the Memphis vs Ole Miss football game.